Culture | Original design solutions and architectural forms of the Kiev airport terminal “Borispol”. 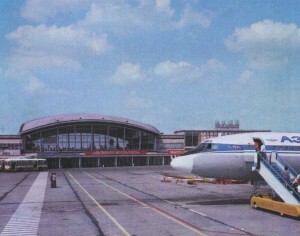 Original design solutions and architectural forms of the Kiev airport terminal “Borispol”. Circles on the water.View of the Moscow area. In the foreground – rear facade of the bus station and the platform of arrival and departure of coaches.